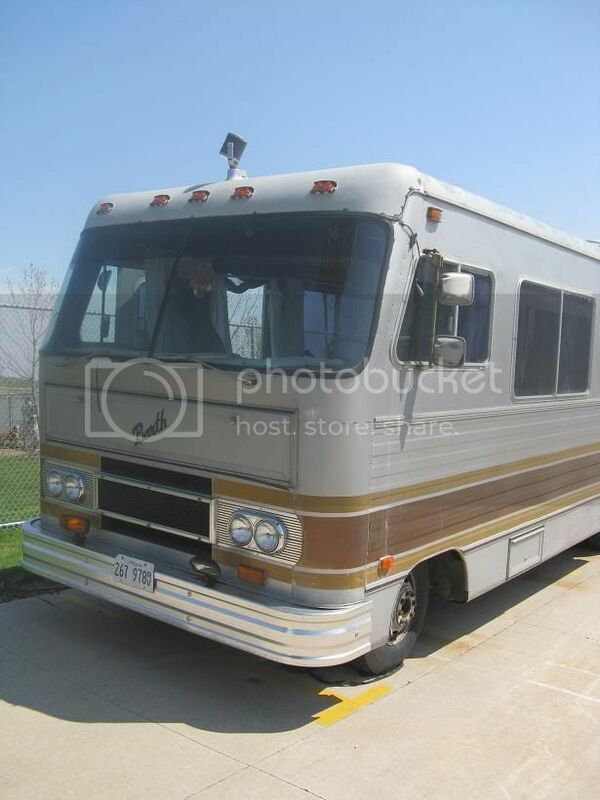 Sold to MattR: 1977, 24’ Barth Motorhome on Chevrolet Chassis. 454 Chevy engine, 60,000 original miles. 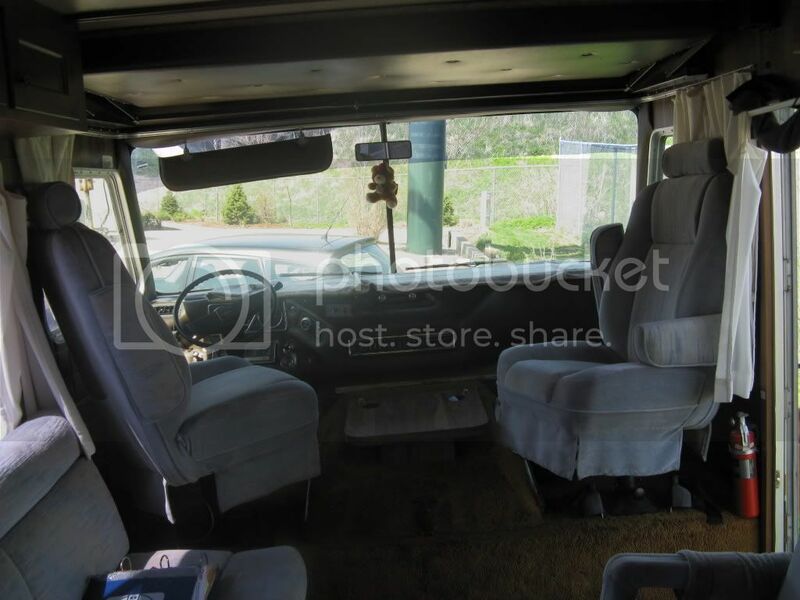 Very clean and in good condition, well-maintained with all maintenance records. Drop-down bed and front seats which lay flat sleeps 4-6 comfortably. Rear bath, bathroom remodeled, self-contained shower. 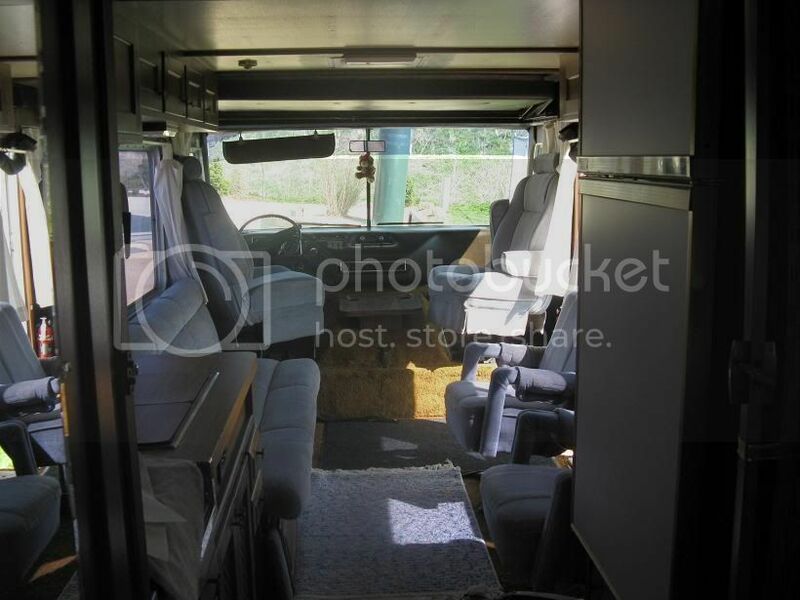 Large refrigerator, 2 large closets, four-burner propane stove, microwave. Furnace, AC, roomy with plenty of storage inside and trunk at rear. Contact info deleted, as this was originally a "For Sale" post Photos attached. That looks like you have a small class A rather than a class C, which would have a conventional van front end. A class C would be built on a van chassis too, usually Chevy, Ford, or Dodge. You might be selling yourself short. Good luck selling. Thanks, Corey. We are rather challenged with the RV verbage. That background looks like Uncle Bill's self storage in Normal, IL. I see your Barth parked there just about every day on my way to work, and posted about it here on this board several months ago. Scotty----you are absolutely correct, this is Uncle Bill's in Normal! If you can help our Barth find a new home, we would be grateful. Thanks for your interest. This Barth went to a good home on 5/9/08, purchased by a grandfather of 9 who found it just what he wanted. Happy Barth camping to all. I believe I own this now. I always wanted an airstream but I saw this on craigslist and had to have it. Its been leaking and much rougher now. You will NEED this forum. The search feature will probably take you to previous threads pertaining to all sorts of issues you are likely to encounter. Yeah , I didn't get a notification anyone replied on the forum. I came back looking for the link to show someone what I bought. People usually think its great ... or they ask why would I buy such a thing. She's actually been in the shop since shortly after I posted. I've got so many questions I'll probably need to organize a bulleted list. My first project is the roof. Its covered in tar and leaking in every spot the tar was applied. It looks like there is perhaps a sliver brushed on material of some kind across most of the roof where there isn't tar. I've got a couple Fan-tastic vents to install which will resolve 2 leak points. Along the front seam on the roof though I'm not sure what to use to remove the tar and secondly to seal that seam. It looks to me like the roof is mostly a solid sheet of aluminum. I'm confused that it would be painted with any kind of sealant except around the front and back seams, vents, a/c and luggage rack rivets. A friend of mine walked across the top to assist in tarping it while it was at the shop getting new front springs, ball joints, exhaust manifold and a long list costing about 5,000. It runs great now but no dash a/c, the roof issues and a cracked water line to replace. I'm wondering ... Is it structurally strong enough to support someone on the roof? It made me nervous and I don't let anyone else up there anymore. More than strong enough to walk on. I try to stay on the rivet lines but you are not going to fall thru the roof. Just a much more support where the rivets are. Welcome Matt! Nice little Barth you have there, good to know someone is picking it back up and willing to keep it moving down the road. I'm not much of an expert on the roof/leaking issues and I'm sure others will chime in here, but I plan to use a newer product on mine in a few days. It's a liquid roofing material from a company called Graco. 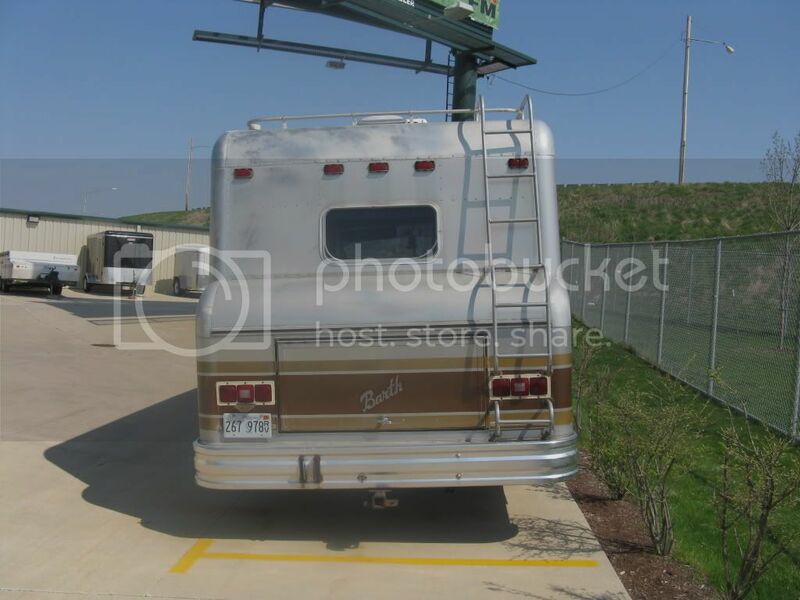 If you use the search tool here on Barthmobile, you will find many posts concerning re-doing the roof with photos and results. I have not read much on this product I bought, except for the excellent warranty (50 years) and product referrals online. The hardware store where I ordered it from had examples of it on display and I was sold. It is not cheap - $70 per gallon and I'll use two on our 22' Barth, but you might consider reading up on it and researching what other people have used as well. Best wishes and keep us updated on your progress. That's actually what I was planing to use. I was debating about using a grinder and a brush or something to get the tar off and polish the roof up, sealing around the individual spots but that seems too labor intensive. I'm leaning toward just taping a clean edge so it looks nice from the ground and slathering that stuff on it, as is. I noticed in a different topic someone stated something like "we all know you can't replace the windows" Is there some reason you can't replace the windshields if they were to be damaged, or just cost prohibitive? you should have little difficulty getting your WS replaced. The problem is lack of availability for the early 70's glass that was only 14 or 16 inches high. People usually think its great ... or they ask why would I buy such a thing. Funny that's is the exact same reaction I get although lately it seems I get more positive reactions than negative.